Smith Ranch | Texas Hog Hunting at its finest! We offer tree stands that sit over feeding areas as well as the option of stalking your prey. The swamp offers an extra challenge! You may hunt with your choice of weapon. From a pistol to a bow to a spear, we can accommodate your hunting style. Are you a Texas resident or are you coming from out of state. We can guide you through the Texas Hunting License Process. 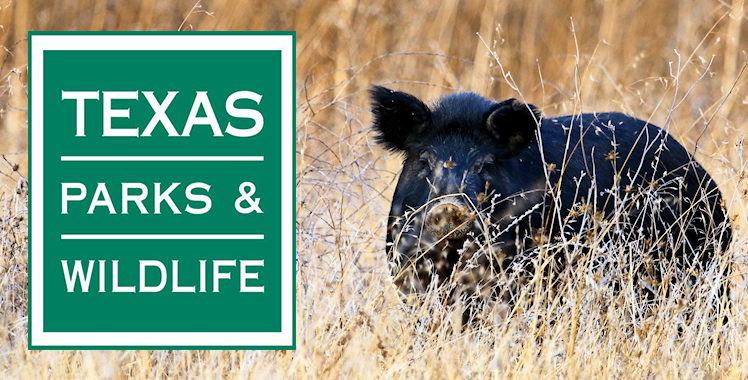 Although wild hogs are our specialty, we offer a much much wider range of hunting variety. Click below to learn more!. Get your scope dialed in because we can offer you the opportunity to shoot a hog from over 1000 yards away! Join the elite few hunters that are currently members of the Smith Ranch 1,000 Yard Club. 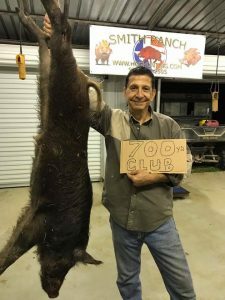 The long shot club offers you the opportunity to bag a hog from extreme distances starting at 600 yards and exceeding 1,000 yards! If you believe you are up for the challenge, click the button below to learn more! Cleaning facilities are available for you to clean and dress your kill. We do offer a cleaning service if you would like to just kick back and relax after your hunt. Let us take care of the dirty work! Do you have a delicious recipe that you used with meat you harvested on the Smith Ranch? Share it with us and we will pos them here! Does your organization want to have a group come hunt on the Smith Ranch? Contact us about group rates! For the ULTIMATE hog hunt, Come hunt in our Trophy area! You will be guaranteed a hog of at least 200 lbs!